News: Iraqi Christians Waited Years for American Funds. Is Now Too Late? Last year, Vice President Mike Pence pledged support to Christians, Yazidis, and other minorities forced out of their homelands in Iraq by ISIS. Religious freedom advocates and groups in the Kurdish region of northern Iraq cheered the news. Then, the money didn’t come. Last week, the Trump administration announced a multimillion-dollar assistance plan to bring the total funding over the past year for religious minorities in Iraq to nearly $300 million. The money will be used to rebuild communities, preserve heritage sites, secure left-behind explosives, and empower survivors to seek justice. Those charged with administering the funds have their work cut for them. 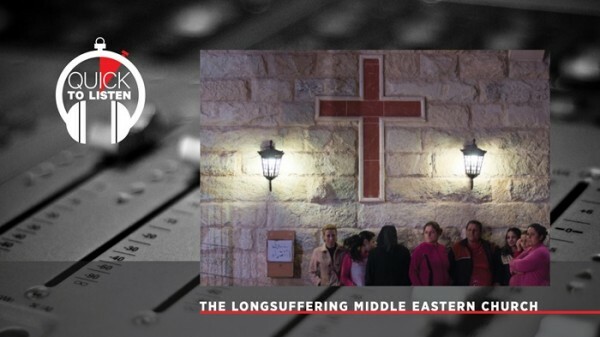 “From the time of the US invasion to now, you have seen a Christian church of over a million people that has been reduced to 100,000 people,” said Mindy Belz, senior editor at World Magazine, who has visited and reported from Iraq frequently over the past two decades. When Saddam Hussein’s regime was first toppled, Christians were hopeful, says Belz. But as the US stayed on, things got worse for the community. Belz joins associate digital media producer Morgan Lee and editor in chief Mark Galli to discuss what went wrong with last year’s plan to send money to Iraq, how ISIS changed how Christians relate to their fellow religious minorities and their Muslim neighbors, and what life is like on the ground in Iraq right now for the church.